While in the last posts we reviewed some top of the class gaming laptops, now we will consider some affordable options for the ones who are thinking about a laptop with modest portable gaming experience, however you don’t expect the highest frame rate, or the extreme graphic settings. We decided to lower the price range from 1000 dollars down to 800 dollars, and find the best gaming laptop solution in this price range. Didn’t come as a shock finding that we have found there are tons of options in this price group, some even surprisingly good for the money you’ll spare. In our manner, by dong a massive research and analysis, and limiting the playing range even more, we have managed to make a list of top five gaming laptops in the range of 800 dollars on the market momentarily. Although not looking as pretty as high end laptop, the performance of these laptops is surprisingly good, so they can freely be named “mid-high end”. The below listed configurations are equipped with a moderate processor, considerable amount of video memory, larger enough HDD even SSD, and a lot options for upgrade per your request, offering a satisfying working performances. However, don’t expect the high-end graphic cards in these laptops that like in the over $1200 budget laptops, but do expect a satisfying gaming experience playing on any of the five listed down below; nevertheless, these are not the cheapest laptop either. For those who are looking for something even cheaper, we encourage you to look at some previous posts describing the best gaming laptop in the 600$, or even the 500$ budget range. This list will be periodically maintained and updated, and one can always find the latest educational and informational chooses. True, a lot of the pc-gamers would not agree, but we can guarantee with our long experience that you will find a flowing gameplay and finer graphics than the ones at the Xbox or PlayStation 4 consoles. 1 x HDMI Up to 10 hours. 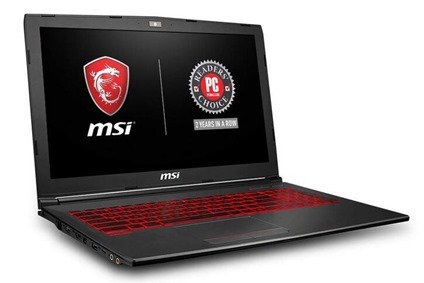 Priced at $799, this MSI GV62 8RD laptop features the new Intel Optane, very powerful graphics, and Intel Core 8th generation i5-8300H processor. It is clocked at a base frequency of 2.3 GHz but can turbo boost up to 4.0 GHz. The 8th gen delivers you way better performance than previous ones, so you can really enjoy gaming at its finest. 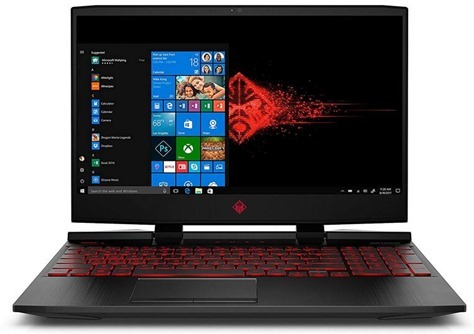 Although it has very similar specifications as the HP Omen laptop that is also on this list, this laptop has one big advantage when it comes to the storage. The 16GB of the new Intel Optane memory really makes things easier. This memory is going to give you a similar performance as what you would find with an SSD. The only difference is a few seconds faster loading times on your favorite games and programs and a much quicker access to your documents. Besides, the 1TB of storage amount is enough for hundreds of movies and plenty of other personal files that you will want to keep on your laptop. The powerful graphics capabilities are powered by NVIDIA GeForce GTX 1050 Ti, which offers 4GB of GDDR5 memory. This graphics card is even 17% faster than GTX 965M, enhancing your gaming experience. Another great thing is 8GB of DDR4 RAM memory, clocked at 2400MHz. It features the dual socket mode which reduces the potential performance bottleneck that can exist between the CPU and the memory controller. It is also expandable up to 32GB, allowing you to upgrade and future-proof your system when you want. The design of this laptop is just as great as its gaming performance. MSI’s brushed tactical cover designs will both keep up delicacy and save that gaming feel. The display is 15.6″ Full HD eDP IPS-level, which is developed to provide high-quality resolution when playing different games. Having an NTSC display as a feature gives you more powerful looking with a big range of vivid colors, and makes ordinary games look really spectacular. The SteelSeries keyboard has red backlighting, and the sides of all the keys are also clear red plastic so it looks red even when it’s off. Unfortunately, the color can’t be changed, but you do have an optimum WASD zone and support for multi-key inputs. Overall, the keyboard is pretty good, and it helps you gain full command over gaming missions. Another great feature is way better, improved coolers. Boasting dedicated thermal solutions for both the CPU and GPU, with a total of 6 heatpipes, guarantee the greatest execution under any gaming situation. As it only weighs 4.8 pounds, it’s to carry it around while enjoying your games and other applications along with a smoother multitasking experience. The performance from the 802.11.ac and the wireless card is very solid, and you will not have any connection issues. With a full charge, just watching Youtube videos, with keyboard lightning on, you will be able to use it for around 4 hours, which is notably less than the battery life of the HP Omen. Much more upgraded compared to the previous generations, this OMEN by HP gaming laptop available from $800 features 8th Generation Intel Core i5-8300H processor clocked at 2.3 GHz reaching up to 4.0 GHz for an excellent gaming performance. It also has 12GB of DDR4 RAM memory clocked at speed of 2666 MHz and 1TB of a hard drive with more than enough storage for all your personal files as well as programs. The 128GB of PCIe SSD memory is also available, making your laptop even more responsive and smooth. Besides from having a very powerful processor and plenty of SSD memory, this model is running NVIDIA GeForce GTX 1050 Ti dedicated graphics card, which has 4GB of GDDR5 memory. Although it’s not the fastest one, this card has a very respectable reputation. Despite the GPU being a couple years old, it still delivers you a really good performance when it comes to playing newer games like Fortnite, Overwatch or PUBG. The design of this laptop is still very similar to the other Omen ones: it’s got the red face and the classic red accents. But they did make a couple of changes, e.g. the whole chassis is a little bit smaller and more compact with lighting as an additional feature. The bottom half of this laptop has aluminum keyboard deck and a plastic bottom panel, both well made and quite sturdy. As for the top half of the laptop, the screen has a little bit of flex and generally a really good hinge. Considering the price, it’s built pretty well, but there are a lot of plastic components. The biggest change in terms of the aesthetics is actually the screen. It used to have the thick bezels which are now changed with a nice and thin top. 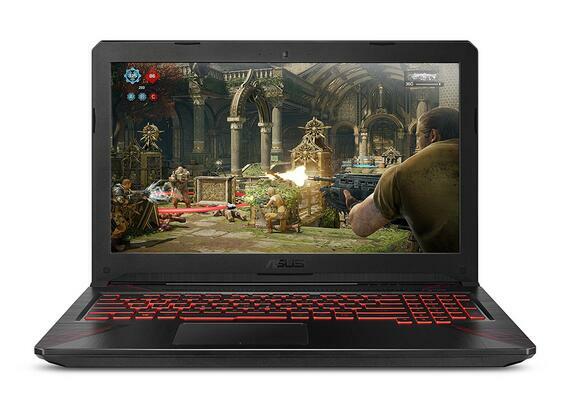 With the resolution of 1920 by 1080 on 15.6 inches WLED backlit screen, this laptop is excellent for games and pretty usable for a color accurate work. Another thing worth mentioning is improved fans with larger blades, a 3-phase motor, and fluid bearing. The previous generations of Omen laptops had a huge problem with thermal throttling, but you certainly won’t see it happening with this one. You can also choose the performance by selecting which mood works best for you and control the noise of the fans this way. Dragon Red 2-zone backlit keyboard is comfortable and it has illuminated WASD keys for instant recognition. It’s a good layout and most people can get used to it quickly. The advantage is the anti-ghosting keys which have the ability to process simultaneous signals that come naturally to many gamers. The speakers are located on the bottom side, so it’s not really the best position, but with the HP Audio Boost, they provide a high-quality sound. The internals are easy to get into and you can easily expend your SSD, HDD or RAM memory once you decide to get your laptop on a new level. As for the battery performance, this laptop requires 1 Lithium-ion battery which is included. The battery life lasts up to 10 hours and 45 minutes if you are using it for the light performance. If you are planning to use for a longer work, it is recommended to bring a charger with you. For the port selection, there are a handful of them located on the back, including a Thunderbolt 3 port. On the sides, you get an SD card slot as well as a couple of USB ports. This laptop also got Bluetooth 4.2 and the latest 802.11.ac Wi-Fi which provides a fast, problem-free connectivity. It comes with the Windows 10 Home and it weighs 5.40 pounds, being easily transportable wherever you want. Summary – Lenovo Legion Y520 is one of the best entry-end gaming laptops that offer great features for its price tag. Let us take a deep look at the specs and features of this laptop. 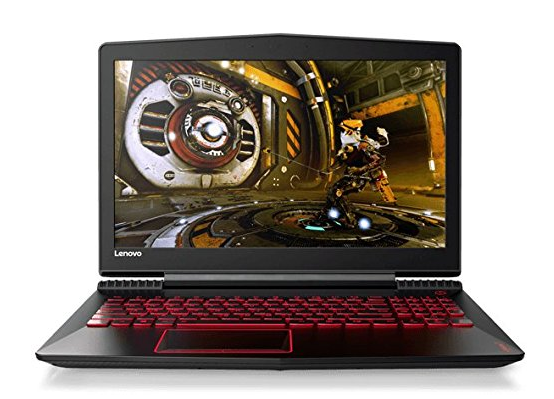 Lenovo has a wide product range when it comes to entry-end gaming laptops and has established strong grip in this category. Here we take a look at the specs and other features of Lenovo Legion Y520 that comes packed with NVidia GeForce GTX 1050Ti. The display and the peculiar touchpad design are the only downsides for this otherwise gaming powerhouse. Priced just over the $800 mark the Lenovo Legion Y520 gives serious competition to its rivals. 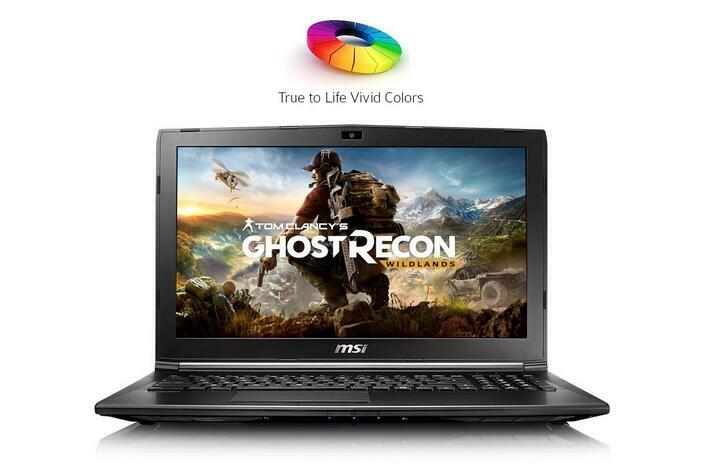 In terms of features and specs it has all that you would expect from an entry-end gaming laptop. Design wise this laptop follows a subtle look which serves as a distinction from others in the category something that Lenovo has worked on for its entire gaming series. Switching over to performance the Legion Y520 is quite a mean machine and is powered by a 7th Generation Intel i5 7300HQ Processor. It has a clock speed of 2.8 GHz and 8GB DDR4 DRAM. The new generation of i5 processors have taken a big leap over the previous gen processors having done away with the concept of hyper threading. There are 4 solid cores in this new generation of processor and together with NVidia GeForce GTX 1050Ti and 4GB of dedicated graphics memory it creates brilliant gaming performance. Choose a game you want and you will get the maximum out of it. Lenovo calls its Thermal Engineering and the feature works brilliantly to keep the laptop cool even when you engage in long hours of playing the most demanding games. The thermal vents at the rear work brilliantly to keep the processor cool. Legion Y520’s display is a big sore point though with color reproduction and contrast both being poor. You need to run it a full brightness for comfortable viewing experience. If you are one who loves late-night gaming sessions the backlit keyboard in red hue will create the perfect setting for those surreal experiences. With 1.7mm key travel distance it is comfortable for all kinds of fingers and allows you to respond without a hitch. It has one USB 2.0 and two USB 3.0 ports which is a market standard in this segment. It has ultra-fast 256GB PCIe SSD which adds to its performance. The odd shaped touchpad isn’t something that would excite you though. Moving over to wireless connectivity it supports 802.11 A/C and Bluetooth. The battery is good for 4 hours of gaming that should suffice most needs. 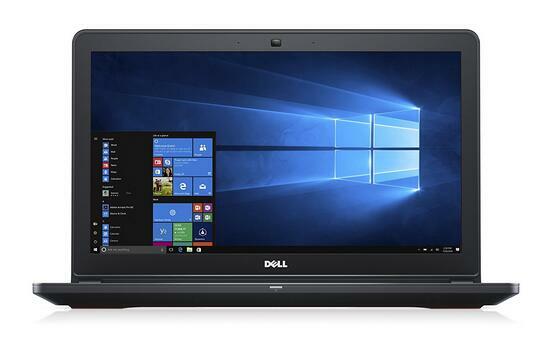 Dell Inspiron 15 7567 is one of the best entry end gaming laptops with a fast processor and great battery life. Here we take a close look at this machine and see why it is worthy for an avid gamer. The Dell Inspiron series has been a favorite with people for people looking for entry end gaming laptops. Today we review the Inspiron 15 7567 which features NVIDIA GeForce GTX 1050Ti and 7th Gen Intel Core i5 processor. It has 1080p TN panel which doesn’t quite do justice for gaming laptops. But its overall price tag and the features it comes loaded with make it a strong contender in the sub $800 gaming laptop category. 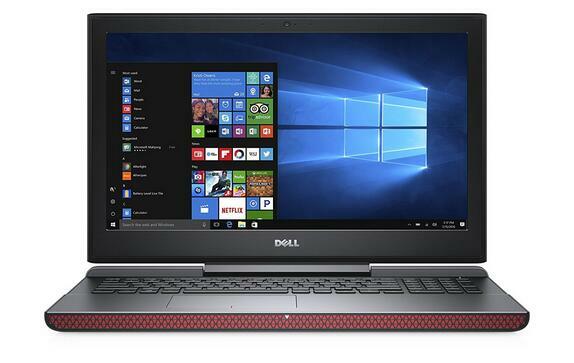 Priced a shade under $800 the Inspiron 15 7567 packs a ton of features that avid gamers would fall in love with. Its design and build is both practical at the same time appealing. The black and red theme stands out and creates an electrifying appeal that perfectly complements what’s under the hood. The model features the all-powerful 7th Generation Intel Core i5-7300HQ Processor along with 6M Cache and 3.5 GHz clock speed. Add to it the NVIDIA GeForce GTX 1050 Ti graphics card and 4GB GDDR5 as dedicated video memory and we are talking of serious performance. Most AAA game would perform seamlessly without causing any heartbreak. What is a letdown though is the 15.6” display as the TN panel seems a misfit here as despite the 60Hz refresh rate. Its viewing angles don’t live up to the expectations with color reproduction being poor and same goes for the contrast. Dell’s TrueColour software doesn’t make much of difference. Display aside what makes this a great deal for the gamers is its ultra-fast Core i5 7300HQ. It is one of the best i5 processors from Intel’s stable and shows the true power of KabyLake architecture. The 4 physical cores along with four threads add to the performance. It’s a step above the old i5 processors that had only 2 physical cores. This improves overall gaming performance and you will feel the difference if you have used an older generation i5 gaming laptop. The keyboard is backlit and the red glow behind adds to the ambiance and also complements the overall color scheme of the laptop. If you are a touch gamer you may take some time getting used to the keyboard but it is convenient to play with. It comes with 256GB SSD and 8GB DDR4 SDRAM memory. You can of course shell out a little more and opt for the one that also has 1TB HDD. Wireless connectivity wise the laptop features 802.11 A/C and Bluetooth that are best in the category. One of its strongest points has to be its 6 Cell 74 WH battery that will easily let you enjoy thrilling gaming experience for a shade less than 5 hours. But pushing the battery that hard regularly may shorten its life and hence you should plug it in while gaming. 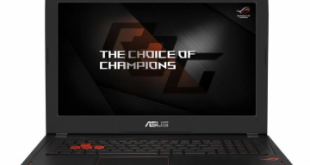 Extended lifespan and immersive gaming experience is what Asus promises with its TUF series and the brand is positioning itself aggressively in the gaming laptop market. Here we recommend ASUS FX504 powered by Intel Core i5-8300H 8th Generation Processor and GeForce GTX 1050. It is held back by its bulky design and a poor touchpad though. We have already seen the Acer AN515-51-72HL offer serious power at your hands in comparison ASUS FX504 would stand pale. But when you think of almost $200 less you need to pay for this one it is definitely value for money. You can of course opt for the NVIDIA GTX 1050 Ti model if you need more performance. To start with the form factor it isn’t for someone who is particular about aesthetics as the bulky design will turn you off. Coming to the power and performance, for the price tag it definitely gets basic ingredients right. Under the hood you get an Intel Core 8th Generation i5-8300H processor with 2.3 GHz that can touch of up to 3.9GHz in turbo mode. The GeForce GTX 1050 works as a perfect complement as you immerse in long gaming sessions and enjoy the true power of this latest generation of Intel processor. Staying with GeForce GTX 1050, it is ideal for multi-tasking and with the 2GB of graphics memory you have a decent performer on hand to play your favourite AAA Title Games. Unlike other gaming laptops at this price range the FX504 doesn’t show signs of heating thanks to the Anti-Dust Cooling Technology that improves the lifespan of the machine and ensures stability while gaming. The 15.6” Full HD display is great and offers good contrast ratio and colour reproduction. 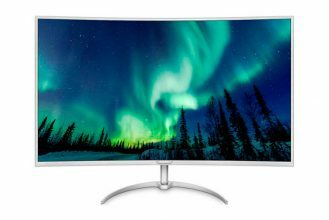 It offers a 120Hz panel and is definitely a steal as you will have to spend at least a couple of hundred dollars more to get something similar. The 3ms response time will definitely excite any gamer. The battery too is decent and you can expect to run it for four long hours. Switching over to the keyboard Asus has done a good job with the back-lit keyboard and it is rated for 20 million key strokes. The 1.8mm travel is comfortable and comes handy while playing FPS games but the touchpad is a serious let down. It is sticky and spoils your gaming experience but that is understandable at this budget. 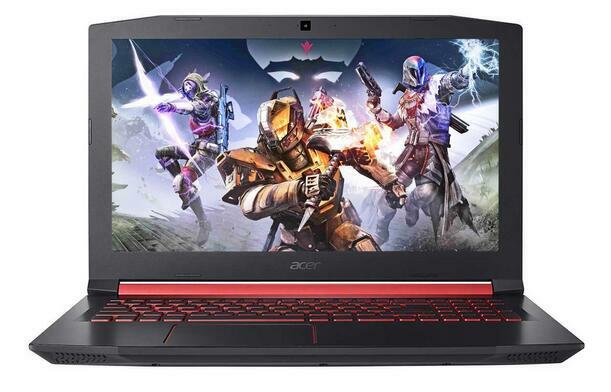 Acer is diversifying its gaming series and offering more options to the users with its Nitro series of gaming laptops. Here we review the Acer Nitro Flagship that runs on Intel Core i5 processor and NVIDIA GeForce GTX 1050. This laptop a good choice at the price tag but it has been undone by its display and the keyboard which is hard to read. 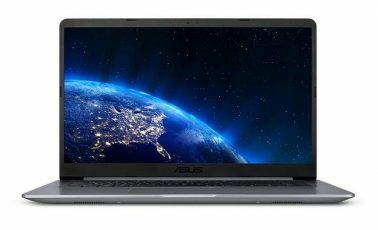 Compared to AN515-51-72HL we have reviewed it is low on specs but gives ASUS FX504 a good fight. Priced around the $750 mark it ticks most of the boxes right and ideal for intense gaming sessions. There isn’t anything stunning about the design and build quality but Acer seems to have opted for a more practical approach with design which keeps heat and dust away. Moving over to the laptop’s performance you get quite a performer with the Nitro. It runs on 7th Gen Intel Core i5-7300HQ Quad-Core that has clock speed of 2.5 GHz and can reach 3.5 GHz in turbo mode. 6 MB of Cache along with four sold cores based on Kaby Lake architecture make faster than earlier generation of i3 processors. It comes with 8 GB or DDR4 RAM which along with the NVIDIA GeForce GTX 1050 graphics that has 4 GB GDDR5 graphics memory offer quite the gaming machine you would be looking for at this budget. You will be able to run most AAA Game Titles without a hitch on this laptop and the NVIDIA GeForce GTX 1050 will not leave you disappointed. If you talk of frame rates it can dip below 30 fps occasionally but you will have accept that in a GTX 1050. If you are looking for something better you can always opt for GTX 1050 Ti gaming laptops. We have seen how good a display ASUS FX504 offers but this one like the Acer AN515-51-72HL we reviewed is handicapped by poor display. The 15.6” 1080p IPS display simply doesn’t seem meant for gaming. The contrast ratio is bad and the colour reproduction is forgettable. You will have issues with slight shading of different colours especially blue. However the 4-cell Li-ion battery does offer you many hours of gaming without needing a plug a welcome move compared to the other Acer we have on the list. Acer CoolBoost™ cooling technology also doesn’t let the machine heat up. The back-lit keyboard is another let down in this laptop as the keys are little hard to read and even the touchpad seems little scratchy. The travel is good buy the overall keyboard is unimpressive. Talking about connectivity ports it has one USB 3.0, two USB 2.0 ports and a USB 3.1 Gen 1 Type-C. You get a 1TB HDD and 802.11ac wireless connectivity support with this system. The Dell Inspiron priced under 800$ offers a very decent price to performance ratio. The hardware is modern and mid-to-high end and at the same time is not over-powered for a laptop. The CPU inside is an i5-7300HQ which is the latest 7th gen i5 mobile CPU from Intel with 4-cores/4-threads, clocked at 2.50GHz and can turbo up to 3.5GHz. It also has 6MB of L3 cache and is quite a performer as a mobile CPU. With 8GB of RAM multitasking and running virtual machines is going to be an easy task as well. It is almost never going to bottleneck your games and would provide a smooth, unobtrusive multitasking environment. The storage is in the form of 256GB SSD which further improves your loading and booting time making the device seem buttery smooth. The ergonomics and design are quite simple and yet effect. The metal body is black with red accents on it and a Chiclet keyboard which is not too bad for either productivity or gaming. Speaking of which, the GPU that will be powering your game library is the GTX 1050 from Nvidia with 4GB of VRAM which is more than competent when it comes to gaming at a standard 1080p gaming. The frame rates are going to be maintained easily at 50 to 60 FPS for even the most demanding titles. A 1050Ti is often expected at this price point but Dell decided to make that as a separate upgrade option that you can get if you want to go that extra mile. Coming to the next most important factor for gaming and productivity alike, the screen is a 15.6 inches 1920 by 1080 resolution display with anti-glare protection so you can use it in daylight and outdoors. The panel is TN so you may get poor color reproduction and poor viewing angles but FPS gamers would want to prefer this one for higher refresh rates and lower latencies. It weighs 5.7 pounds. The connectivity options include an HDMI port, an Ethernet port, an SD card slot, 3 USB 3.0 ports and an audio input output combo jack. 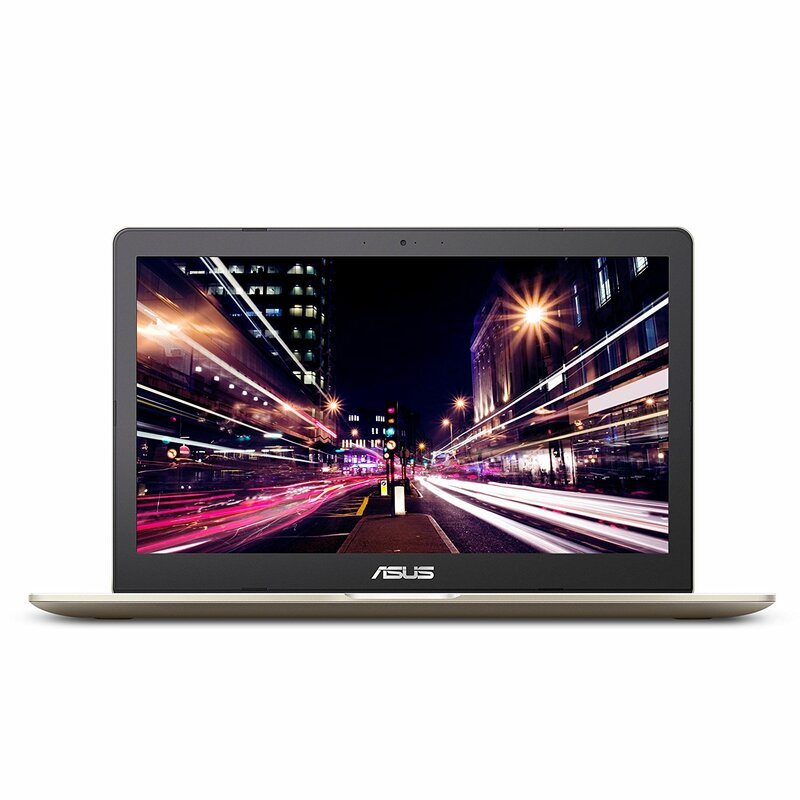 Give Asus a chance to compete in this price range and for $800 and you will get a light, powerful and very portable VivoBook for your productivity and gaming uses. It is very stylish and still powerful to get into the competition. Its internal hardware is very similar to the Dell Insipiron that we saw above. With an i5-7300HQ and 8GB of RAM making it quite a performer in terms of both multitasking and content creation workloads like video editing. The storage comes in the form of 256GB of SSD making it even more responsive and user-friendly. SSDs reduce the boot time of your operating system and load time for your games. As a matter of fact, an SSD would make your device feel smooth than getting a better processor can. The entire build is of metal with a silver hairline finish. The keyboard is Chiclet keyboard with black back-lit keys and the body is only 0.8 inches thick. The track pad is large and has an integrated fingerprint scanner. The entire device has a MacBook like feel to it. The gaming experience is powered by an Nvidia GTX 1050 with 2GB of VRAM powerful enough handle even the demanding titles at mid to high visual settings. Speaking of which the 15.6 inch display has a native resolution of 1920 by 1080 and has anti-glare protection. It is an ideal resolution for the screen size and graphics horsepower available. Additionally, the panel uses IPS technology which means better color reproduction and wider viewing angles. In terms of usability, the device stays cool even under load thanks to an intelligent cooling design with dual fans for cooling both the CPU and GPU. The metal body also helps in dissipating heat in spite of the compact design. The style and lightweight makes it ideal for productivity and office purposes and at the same time the decent graphics can offer you excellent gaming experience. The entire device weighs 5.1 pound and is equipped with dual band Wi-Fi, Bluetooth 4.2, 1 USB 3.1- Gen 1 (Type C), 1 USB 3.0, 2 USB 2.0 and one combo jack for the audio. Slightly bulkier than the laptops we have seen so far but much more efficient in terms of cooling and ergonomics, this model from MSI is priced at $700 which is about $100 cheaper than most of its competitors. The internal specs include our now familiar i5-7300HQ with 4-cores/4-threads and 2.5GHz of clock speed with turbo up to 3.5GHz this is processor along with an 8GB of DDR4 RAM and 256GB of high speed SSD storage offers the best performance for the given price range. It can handle multitasking workloads, productivity workloads like video editing and play CPU dependent games like Minecraft. It comes with a GTX 1050 with 2GB of VRAM to power your gaming experience. For the native resolution this graphics card can render at 50 to 60 FPS medium to high visual settings. Moving on to the ergonomics and design, we are see the classic red MSI logo on a black chassis which sports a classy dull black texture. The steelseries keyboard is a nice additional touch from MSI to improve its appeal for the gamer audience. The additional bulk of the laptop is not inefficient either. Sporting 6 heating pipes and cooler booster 4 technology from MSI makes sure that you can use every last ounce of performance from the hardware without any heating issues. The display itself is a gorgeous panel. The resolution is a standard 1920 by 1080 spanning over a 15.6” screen but the 94% NTSC is what anyone would admire the most. As an additional touch, you also get Nahimic 2 Audio Enhancement feature to get a realistic 3D surround sound feature. MSI has really out done itself on this one with decent audio and equally well visuals. The steelseries keyboard is the last nail in the coffin. If you take your gaming experience seriously and want to have a convenient laptop for LAN parties and gaming events, MSI will guaranty that you are taken seriously in these events. It weighs 5.3 pounds and the connectivity options include 3 USB 3.0 ports one of which is Type-C, one USB 2.0 port, 802.11 ac wireless, Ethernet port, an HDMI port and a mini-display port.